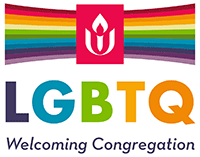 The UUA selected the Rev. Paul Rasor’s, “Reclaiming Prophetic Witness: Liberal Religion in the Public Square” to be its Common Read for 2014-15. Timely when written, and perhaps even more so now, the author addresses head-on our UU tendency to avoid using religious references in our social justice work. This service will share Rasor’s premise that engaging in social witness through the lens of our UU principles and spirituality is as powerfully important as using evidence- and reason-based arguments to ground our beliefs in the public arena.